PACEMAKER BELFAST 'Morgan Barnard, one of three teenagers killed in the St Patricks Day tragedy at the Greenvale Hotel in Dungannon. The family of Cookstown crush victim Morgan Barnard have asked for ‘bright (Hawaiian) or football tops’ to be worn at his funeral tomorrow. 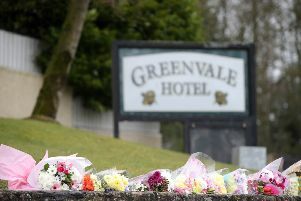 The 17-year-old died outside the Greenvale Hotel on St Patrick’s Night with Lauren Bullock (17) and Connor Currie (16). 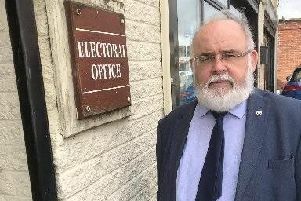 Morgan’s funeral is to take place close to his home in Dungannon tomorrow. Morgan is the beloved son of James Bradley and Maria Barnard and dearly loved brother of Calvin, Robyn, Reagan and Elyssa and loving grandson of Anthony and Elizabeth Barnard and John Pat and the late Winnifred Bradley R.I.P. His funeral is from his home, 8 Springdale BT70 1EQ, on Friday to St. Patrick’s Church, Dungannon for 10.00am Requiem mass. Burial afterwards in Carland Road cemetery.